The 7th International Conference of Intercultural Communication (2013 ICIC) will address a range of issues on the theme “Cultural Conflict and Intercultural Communication.” With the advance of globalization, more and people are either brought in the context of dialogue and communication or assimilated into a dominant culture, which facilitates individuals’ cultural competence and enables them to witness cultural changes and manage the cultural diversity more effectively. At the same time, globalization is also splitting the world apart with globalization is also splitting world apart with diversity more effectively. At the same time, globalization is also splitting world apart with capital power, political power and cultural power, and the diversity of cultures prevents people recognizing the common humanity, thus, cultural conflict is all around the world. For example, the French policies of ban on veil Muslim women and repatriation of Roma have brought great trouble. The event of burning Koran by the US pastor Terry Jones and the rally of white supremacist groups have caused unquenchable violence. All these events exposed another horrible scene of globalization: more people tend to emphasize the absolute differences to express themselves, and more people are approaching violence under the oppression of power. In 2010, the annual United Nations World Culture Report focused on diversity of cultures and intercultural dialogues, striving for the New Humanism in the era of globalization. The core proposition of the report was the inclusiveness and interaction in diversity, which presented an idealistic thinking. However, faced with the cultural conflict and helplessness of communication in reality, it’s not enough to reveal the idealistic flag. We have face the conflicts and predicaments in intercultural communication, and seek the social psychological reasons of cultural adaption so as to innovate the way of communication and construct the possibilities of communication. 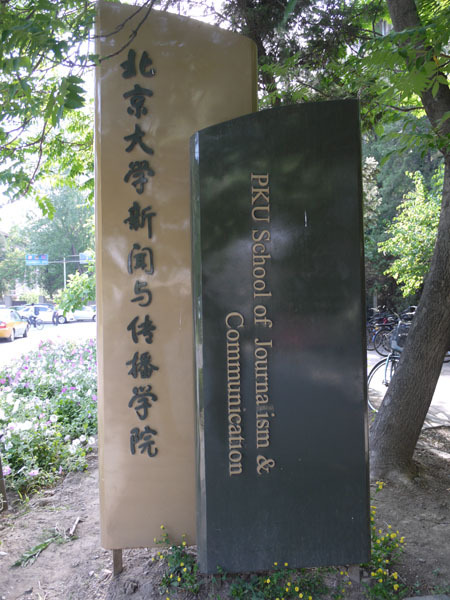 The conference is held by School of Journalism and Communication of Wuhan University and Media Development Research Center of Wuhan University, the co-organizer institutions will include: French Consulate, U.S. Intercultural Communication Research Center, Hubei Daily Media Group, School of Journalism and Communication of Xinjiang University, Xinjiang Normal University, Wuhan Textile University, etc. The abstract of the paper is expected to be submitted by 30th July, 2013 which may contain the abstract and basic information about the author, with less than 500 words in Chinese or 250 words in English. Full submissions are expected by 30th September, 2013. Shan Bo, Ph.D., is professor and deputy dean of the School of Journalism and Communication in Wuhan University, China. 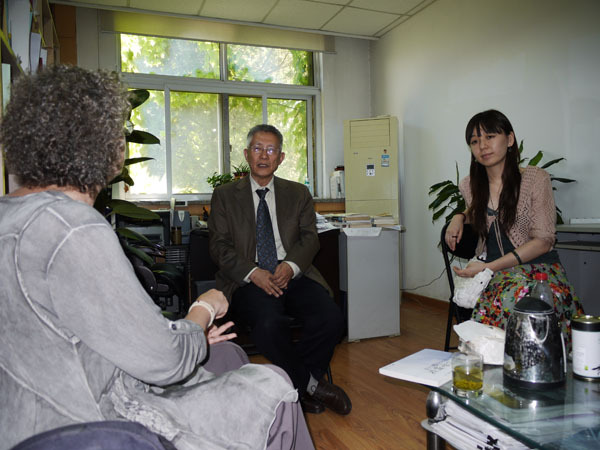 He is the director of the Research Center for Intercultural Communication in Wuhan University, and chairman of the professor committee of the School of Journalism and Communication. He also serves as deputy director of the academic committee of the Research Center of Media Development in Wuhan University, vice president of Chinese Association of Global Communication, executive member of Chinese Association for History of Journalism and Communication, guest professor of Franc Université Michel de Montaigne: Bordeaux 3, and member of editorial advisory board of the Communication & Society (Hongkong) and the Chinese Journal of Communication (Hongkong). *Shan, Bo, Yibin Shi & Xue Liu (2011) Eds. The Intercultural Turn of Journalism and Communication. Shanghai Jiaotong University Press. *Shan, Bo (2010). The Problems and Possibilities of Intercultural Communication. Wuhan University Press. *Shan, Bo (2006) Translate. The Audience Studies Reader. Huaxia Press. *Shan, Bo, Yibin Shi (2005). New Theories of Intercultural Communication. Wuhan University Press. *Shan, Bo (2001). Journalism and Communication in 20th Century China: Practical Journalism. Fudan University Press. *Shan, Bo (2001). The Heart Knows 9 Places: the Mental Space of Tang Junyi Philosophy. People’s Publishing House. *Fan, Fan & Bo Shan (1994). Comparative Journalism. Wuhan Publishing House. *Shan, Bo & Bing Wang (2010). The Media is the Control and its Theoretical Imagination. Journalism and Communication. 2010(2), 41-49. *Shan, Bo & Xue Liu (2009). Discourse Bias & Face-negotiation: Intercultural Analysis on Coverage of Wenchuan Earthquake. Communication & Society. 2009(10), 135-156. *Shan, Bo & Wei Xiong (2009). Linguistic Problems in Intercultural Communication. Social Sciences Abroad. 2009(4), 133-140. *Shan, Bo & Jinli Wang (2009). On The Fundamental Ethical Ideas of Western Journalism. China Media Report. 2009(2). *Shan, Bo & Lijun Wan (2008). Discursive imbalance and deficiency in intercultural news communication. The Chinese Journal of Communication, London: Routledge (Taylor & Francis Group), 1(2), 156-167. *Shan, Bo & Jiali Li (2008). Media Control and its Core Problems Governed by Orwell’s Problem. Journal of Shanghai University (Social Sciences. 15(4), 74-82. *Shan, Bo & Xiaofeng Xue (2008). The Harmony Idea in the West Theories of Intercultural Communication. Social Science Abroad. 2008(6), 4-11. *Shan, Bo & Hui Luo (2008). Mastery of Rationalism and Disillusionment of Salvation:A Perspective of Analysis on the Value and Predicament of Walter Lippmann’s Thoughts. Journalism & Communication. 15(1), 51-59. *Shan, Bo & Xue Liu (2007). The Democratic Implications, Inherent Nature and Problems of the American Media Reform Movement. China Media Reports. 23(3), 4-17. *Anxiété et communication interculturelle en situation d’urgence. Communication & Orgazisation, Juin 2006. For the rest of the information provided in English, see this page. For the main page, with links to descriptions of different scholars in Chinese, see this page. UPDATE as of June 9, 2011: Thanks to Shan Bo for adding me to the database of scholars they describe (in English) – see here. 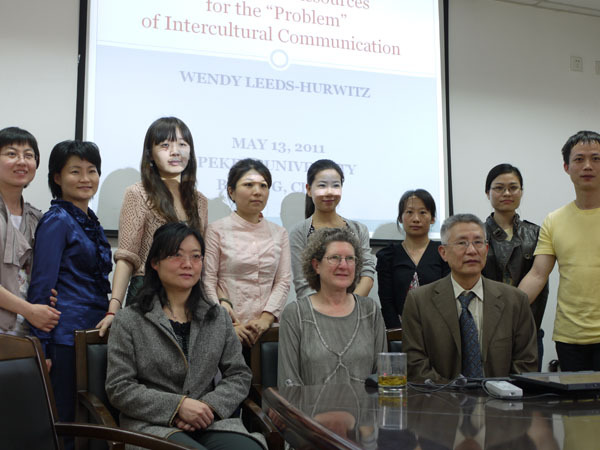 On the afternoon of May 13, 2011, I presented a talk entitled “Interactional Resources for the “Problem” of Intercultural Communication” to the School of Journalism and Communication at Peking University in Beijing, China. My thanks to Prof. GUAN Shijie for organizing the talk, for several long and fascinating discussions over the course of the afternoon and evening, as well as for dinner that followed the talk. We found many potential points of overlap for future discussions, so I look forward to future connections with Prof. Guan and others in his department. Thanks also to Prof. Casey Man Kong Lum for the initial suggestion that I go to Peking University, and for the introduction that started the conversation.